Kate Grutman’s Ju-Ju Hurricane at Pink Pigeon Creole Picnic. I’ve had to drink many things the three and a half days I was in New Orleans for annual cocktail industry palooza Tales of the Cocktail, many. But despite all the cocktail events and bars I went to, so many “soldiers” (aka drinks I didn’t finish) I left behind, only the following were the ones I truly enjoyed. 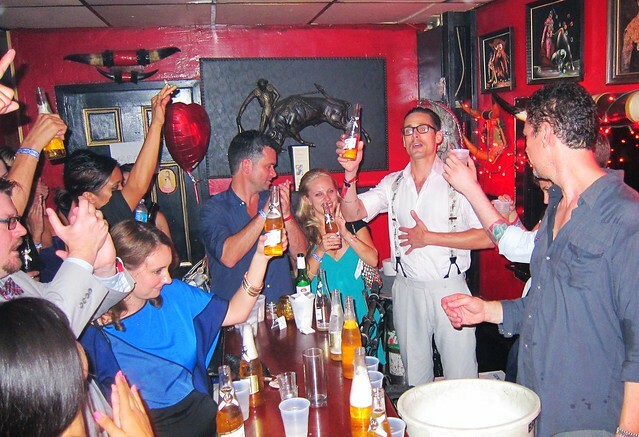 It was more than about the taste, it was the entire experience surrounding them which made them memorable, from an iconic cocktail at a hotel bar to a frozen drink from a dive bar off Bourbon Street to a stolen but celebratory swig of premium rum. Ah, good times. Consider this my version of subjecting you to a vacation photo slideshow. Enjoy. Sazerac Bar’s 1840 Sazerac: Even though the Old Absinthe House was where all the L.A. peeps were hanging, Tales drinking buddy Esther of estarLA and I went in search of a cool and quiet place to grab a well-made cocktail. I heard that Sazerac Bar in the Roosevelt was the place for some of the best drinks in NOLA, especially excellent Ramos Gin Fizzes. However, I instead splurged on the 1840 Sazerac: Pierre Ferrand 1840 Cognac (Spirited Award 2012 winner of Best New Product), Demerara sugar syrup, Peychaud’s bitters, Herbsaint Legendre rinsed glass. Had to. Perfect for enjoying atop a faux-crocodile skin bar stool at the elegant hotel bar. Coctel Cuarton at Bottle Alley seminar by David Wondrich. Bottle Alley’s Coctel Cuarton: Cocktail authors David Wondrich and Jeff Berry lead a Tales seminar about Panama’s cocktail history. As weirdly niche-y as that sounds, it was actually quite fascinating. If high school history class was as compelling as this Bottle Alley seminar I SO would have been a much better student. Sure, it helped that the lesson was punctuated with samples of the historical cocktails. 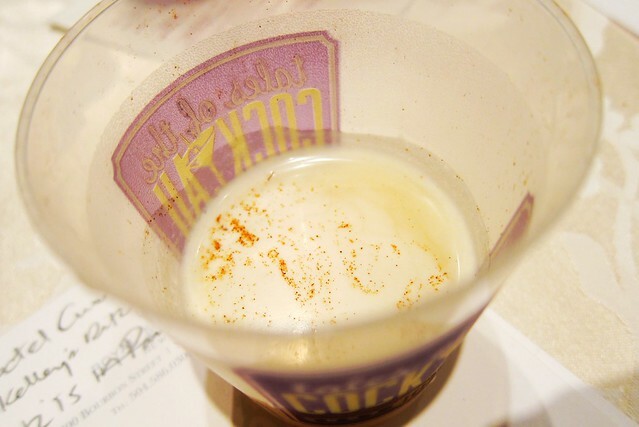 My fave of the bunch was the Coctel Cuarton: gin, cognac, creme de cacao, Licor 43, heavy cream, cinnamon and clove. 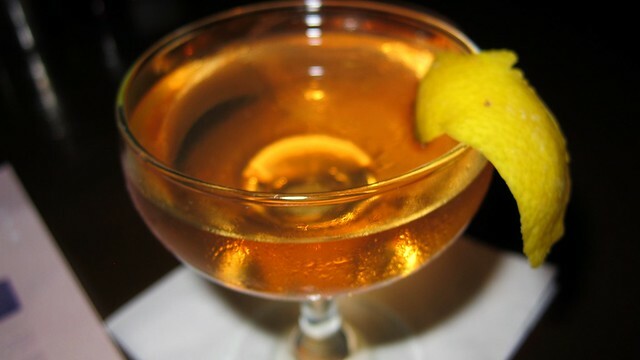 Described by Berry as a boozier brandy Alexander, the Coctel Cuarton originated in a cocktail bar in Colon during the Jazz Age. Creamy, spicy and definitely potent. Cafe du Monde’s Chicory Coffee with a side of beignets. 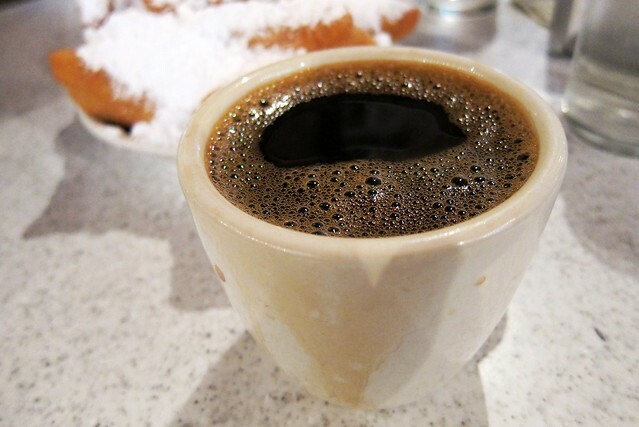 Cafe du Monde’s Chicory Coffee: OK, not remotely alcoholic but heard that Cafe du Monde‘s chicory coffee with a side of beignets is a must-do when visiting New Orleans. So Esther and I jumped in a Pedicab from our hotel and a short while later we arrived at the historic coffee stand which as been around since 1862. The interior of the restaurant was offputtingly dive-y with powdered sugar covering the floor and grumpy-looking waitresses sitting along the wall and talking amongst themselves. “Um, do we order at the counter or…?” I asked the frowny cashier. “You sit down and someone will serve you,” she said without a trace of empathy. So we grabbed a two-top and waited and waited. Finally one of the girls from along the wall got up and walked up to our table. “Two orders of coffee and beignets pleeease.” About $10 and 10 minutes later, we were enjoying the spicy, full-bodied coffee and sugary pastries, while a brass band played outside. Ah, New Orleans. Cure’s Choco-tini: Esther and I skipped the Bar Room Brawl for a quieter place to get a drink: Cure bar which conveniently enough happened to be on The Brugal Extra Dry Rum party bus route. In honor of Tales, Cure was serving up a special menu of ’90s-inspired cocktails. We’re talking drinks like Zima, Cosmo and Long Island Iced Tea but updated to craft cocktail standards. But the Choco-tini by Neal Bodenheimer called my name. Made with cocoa nib-infused gin, Noilly Pratt and Bittermens tiki and mole bitters, this was not the syrupy, stomach-twisting chocolate ‘tini of yore but rather a rich, well-balanced drink. 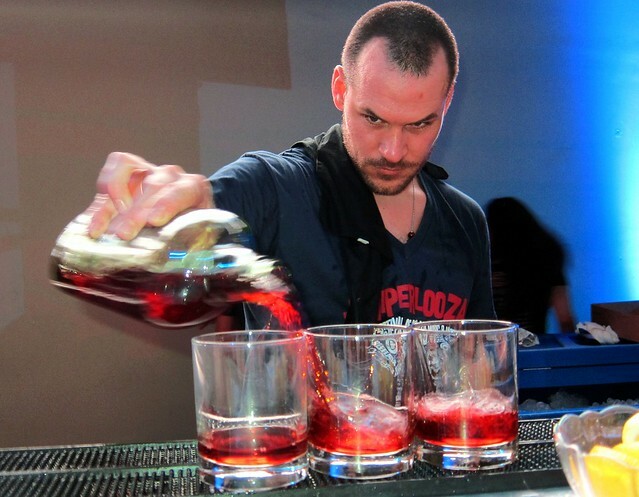 Negronis a la Jason Littrell at Juniperlooza. Negroni at Juniperlooza: After a really rough morning…early afternoon and late afternoon due to the previous debaucherous night of Caligulal proportions (minus the orgies and killings), I had sworn off drinking. Forever. Of course, later at the Juniperlooza (formerly known as the Bartenders’ Breakfast) I was back on the horse again thanks to a Negroni by Jason Littrell (former Death & Co bartender). It worked its healing magic on my still bruised liver. Toasting the Varnish’s Spirited Award win. Swig of Ron Zacapa XO at Varnish Party: After the Varnish’s win for Best American Cocktail Bar at the Spirited Awards, LA bartenders, industry folk and cocktail geeks converged on the top floor of One-Eyed Jacks to toast the momentous occasion. They hoisted up beer and Jack and sodas but my favorite was the $100-plus bottle of Ron Zacapa XO, a rum aged in bourbon, sherry, wine and cognac barrels. Daniel of Thirsty in LA was passing it around, cradling the big-bottom bottle like the oh-so precious baby that it was. Despite having just recovered from the scariest hangover earlier in the day, I couldn’t help but take several swigs from the bottle. So smooth, rich and sweet with a luxuriously lingering finish. 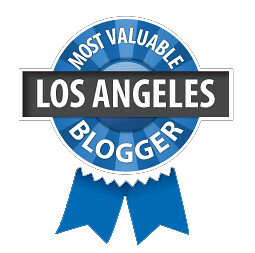 The perfect libation to cheers to the LA bar’s triumph. 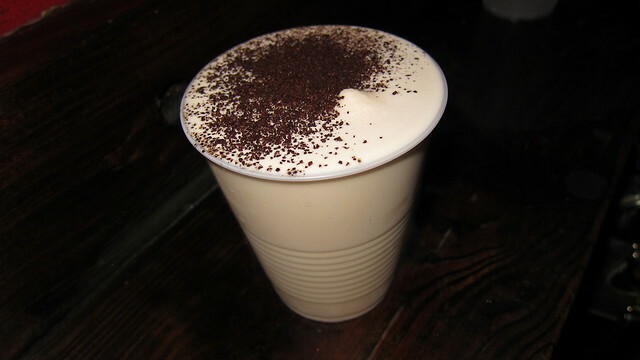 Erin Rose’s Frozen Irish Coffee. Erin Rose’s Frozen Irish Coffee: After a long night, I was just steps, STEPS, away from my hotel when I ran into Neat petite bartender Cari Hah and Eric “ET” Tecosky of Jones and Dirty Sue. They were heading away from the hotel when Cari caught my arm and said, “You’re coming with me.” “Nuh uh!” I replied, “I gotta go to bed!” “Come on. You’re about to have the best Irish coffee ever,” she insisted. “It’s only two blocks away.” Seeing that there was no convincing Cari otherwise, plus who am I to turn down the “best of” anything, I joined them. And even though the bar Erin Rose turned out to be more than two blocks away with a detour through Bourbon Street, I was soo grateful when I took my first gulp of that cool, creamy milkshake of a cocktail. So what if I couldn’t taste the booze and so what if it came out of a frozen cocktail machine? “How crazy that one of the best drinks came out of a machine at a dive bar?” said ET. At 1:30 in the morning on a hot and sticky night, it was a godsend. Bonus was that despite its coffee factor, I had no trouble falling asleep that night. 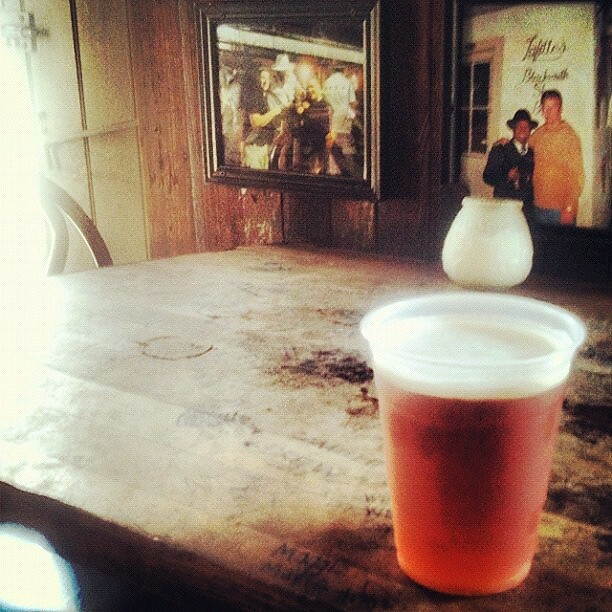 Abita Amber fetched from Lafitte’s Blacksmith Shop Bar. Abita Amber at Lafitte’s Blacksmith Shop Bar: We had less than an hour before our airport shuttle was coming for us but when we heard that Lafitte’s Blacksmith Shop Bar was one of the oldest bars in America, well, we just had to pay our respect. So we hustled the little over a half mile to the quaint bar on the quiet end of the notorious Bourbon Street. Built between 1722 and 1732, the tavern looked damn near respectable, like an old French-style house, complete with shutters and spots of exposed brick on its exterior wall. But thanks to the raucous music emanating from within, you knew better. Anyway, even though we only had 15 minutes left to get back to the hotel before our shuttle arrived, I wanted to grab a drink to go as a sort of liquid souvenir so went with Louisiana’s ubiquitous Abita Amber. It’s not my favorite amber but, hey, when in Rome. Plus it really hit the spot on an oppressively hot and humid day. I held the cool plastic cup to my forehead and tried to take sips of the beer while we jogged back to the hotel. Beer to go, New Orleans, I’ll miss you. Want a taste of Tales? Here’s that recipe for Kate Grutman’s Ju-Ju Hurricane. Combine. 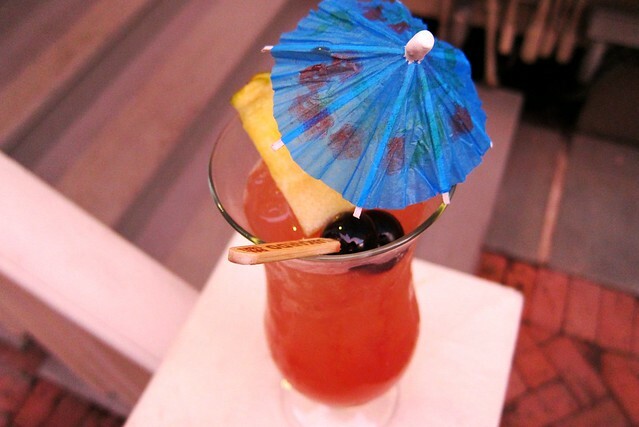 Garnish with fresh pineapple chunks, Luxardo cherries, grapefruit slice and an umbrella toothpick. Cool to see such an eclectic drink round-up. It’s hard to imagine too many other glasses went without alcohol during Tales of the Cocktail. Then again, coffee was probably in demand. Thanks, Josh! Surprisingly I didn’t have as much coffee as I would have liked!